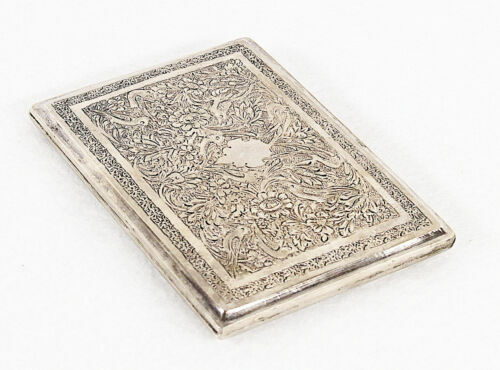 $420.75 ANTIQUE PERSIAN SILVER CIGARETTE CASE W/FANTASTIC QUALITY ENGRAVINGS - RARE!!!!! 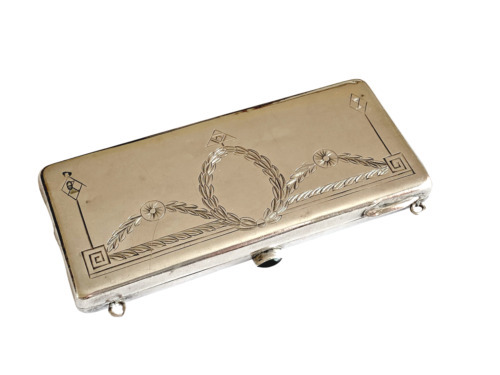 $199.99 ANTIQUE GERMAN 800 Silver CIGARETTE CASE 1913 Art Nouveau “Be Happy” In German. 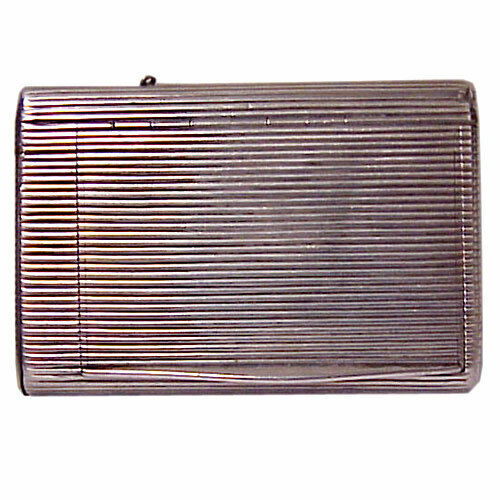 Buy: $1199.0 A Russian .84 Silver Cigarette Case. 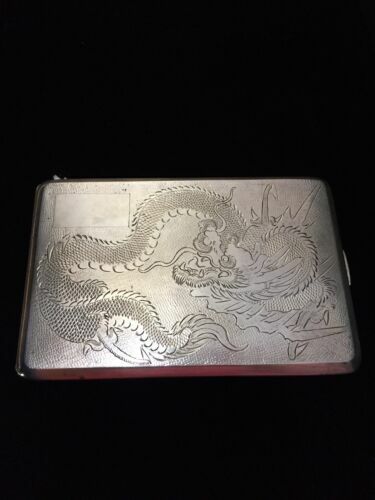 $388.0 Antique Hallmarked Silver Russian Cigarette Case w/ Repousse Relief of 2 Dogs. 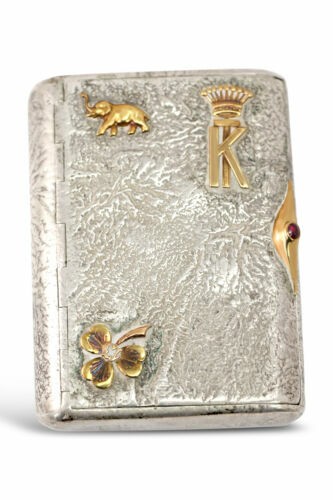 $2195.5 ANTIQUE RUSSIAN IMPERIAL SILVER & ENAMEL CIGARETTE CASE SALE $500. OFF!!!! !